We carried out tiling in a stunning Wimbledon home. This included transforming the bathroom area. 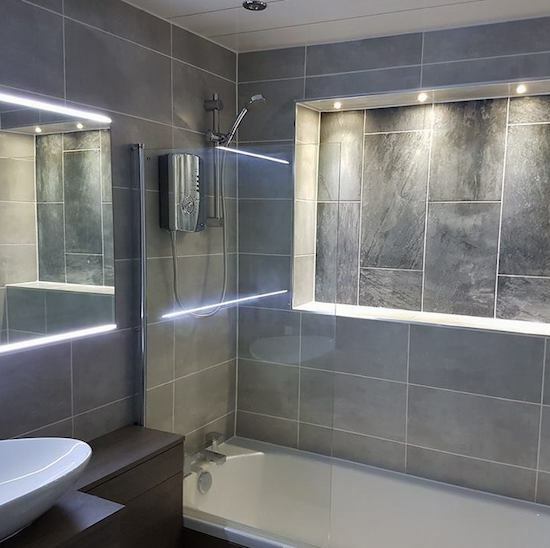 To begin, we allowed for our professional tiling team to understand exactly what our client aimed to achieve with their bathrooms tiling design & we established how this would be possible. Once this was established, we began sourcing the tiles which were required for the bathroom area. ensuring that we understood exactly what was required & what needed to be achieved from the tiling in the bathroom area. Once sourced, our team began sizing all the areas & cutting the tiles to allow for a perfect finish. Next all measurements for the bathroom tiles were made, and adhesive was applied. Next, our tiling team began laying all the tiles, allowing for the adhesive to dry. Finally, all the areas were carefully & precisely grouted to achieve a high-quality finish. “Superb! From start to finish. Our bathroom is now modern, stylish & exactly what we wanted. The Direct Painting Group supported us throughout the whole process, answering all of our queries straight away & achieving a finish which is amazing. We couldn’t have asked for more”.